As peacekeeping evolved to include a broader humanitarian approach, women became increasingly part of the peacekeeping family. Women are distributed in all areas - police, military and civilian - and have had a positive impact on the peacekeeping environment, whether by supporting the role of women in peace-building or in the protection of women's rights. Peacekeeping women have demonstrated that they can play the same roles, at the same level, and in the same difficult circumstances as their male counterparts in all areas of peacekeeping. It has become imperative to recruit and retain women as peacekeepers. In 1993, women accounted for 1 per cent of deployed personnel in uniform. 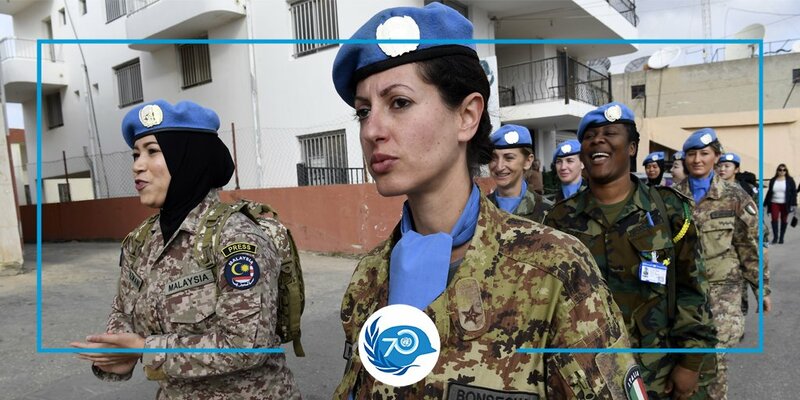 Today, women account for 4 per cent of the total of approximately 125,000 peacekeepers and 10 per cent of police personnel (see consolidated statistical information on women between military and police personnel in peacekeeping operations for the period 2005-2010) Peacekeeping missions. Women represent approximately 30 per cent of international civilian staff. For its part, the Department of Peacekeeping Operations continues to respond to the appeal contained in all mandates for women, peace and security, which calls for an increase in the number of women in peacekeeping operations by advocating the recruitment of more women. However, the ultimate responsibility for appointing more women in military peacekeeping operations lies with troop-contributing countries, both military and police. Why has it become important to have women among peacekeeping personnel? Women are among the peacekeepers as an example in the local environment, as women and girls inspire male-dominated societies so that each of them can confirm their right to participate in peace processes. Interaction with women in societies where women are prohibited from addressing men. Expanding the skills and methods available within the peacekeeping mission. A woman is the United Nations Police Adviser and advises the Department of Peacekeeping Operations on police matters - Anne Marie O'Reilly from Sweden.